I've wanted to try Peppy with some agility type things since a month or so after I got him. But I never knew how I'd make jumps, or ramps or any of that. Today I used a RB drum kit, a cardboard box, and some tape. Taught Pep to jump over it after I blocked off every other access point to the other half of his pen, then started using it otherwise when I'd encourage him. It's only been a few hours, but he seemed to get the hang of it. 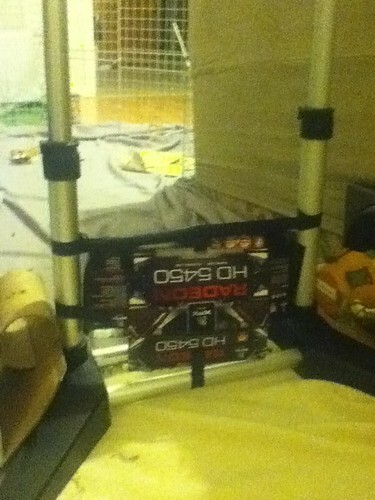 Does anyone have any ideas of how to make other agility equipment at home? Since I don't plan on having him go to a competition or anything, it's just for the entertainment and exercise. I'm SOOO proud of him. I made such a big deal out of it. LOL this is so adorable!! !